Fort McKay School provides quality educational experiences and opportunities for all students. Scroll over the Program title on the home page to view them all! Fort McKay School participates in a division-wide Literacy Initiative to improve literacy practices and enhance reading, writing and comprehension skills for students. Click here to learn more. 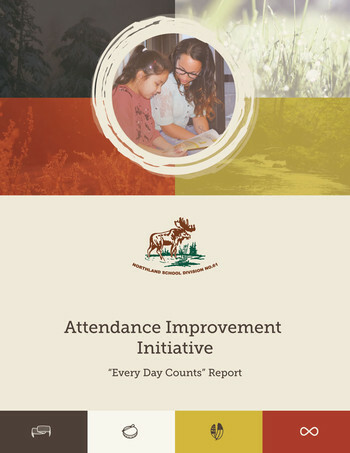 Fort McKay School is taking important steps toward improving student attendance. Click here to learn more. Good Character Coupons. Coupons are given to students who have shown some sort of Good Character based on the themes we have set out for the year. These coupons go up on the Good Character/All Star Student Board with one portion going into a draw. At the end of every month a name will be drawn and the student that gets picked receives a gift card and a book. Each month the classroom teacher selects a few students from the class for Good Character based on that months theme. 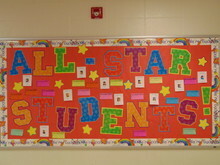 Our goal is to see each and every student have their picture up on the board at least once throughout the school year.